IntelliCAD Co-op technology is an industry-standard CAD engine used by hundreds of developers worldwide and by millions of end-users. It is a Computer-Aided Design platform that CAD application developers use as a foundation, making it easier to create products for specialized markets. IntelliCAD Co-op technology is based on popular .dwg and .dgn files and delivers seamless interoperability with many CAD products on the market today. The technology opens and saves files in their native formats and works with layers, blocks, dimensions, external references, and much more. Developers customize the technology using C++, .NET, LISP, SDS, DIESEL, and DCL. Optional licensed components include VBA, VSTA, ACIS solid modeling, and advanced rendering. The technology is licensed to Co-op members who combine it with their company’s industry-leading vertical software applications, reducing cost-to-market and increasing margins. Commercial Members are authorized to provide stand-alone versions of IntelliCAD and applications "Powered by IntelliCAD Technology." 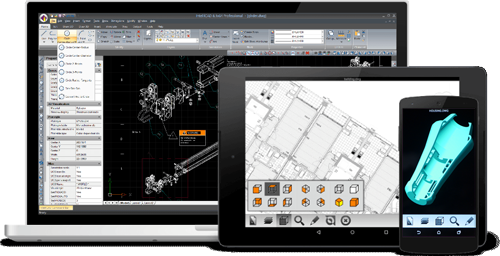 "IntelliCAD Co-op is the foundation for our civil, survey and forensic CAD applications. IntelliCAD Co-op provides a familiar CAD interface for our users and familiar development APIs for our developers. In addition to the standard APIs, IntelliCAD Co-op provides complete source access at the core level that has enabled new solutions we could not create on any other CAD platform."